Back to School! How OSEP is Supporting Students. EARLY CHILDHOOD CHECK-IN: Happy Birthday PL 99-457!! This month the Department funded (1) a national center that will focus on improving the literacy skills of students at risk of not attaining full literacy skills due to a disability, including dyslexia; and (2) the National Center on Educational Outcomes (NCEO), which supports States’ and local school districts’ efforts to increase participation and improve results for children with disabilities on State and districtwide assessments. 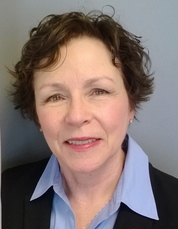 The literacy center will assist states, local education agencies, schools, and instructional personnel in identifying students and using evidence-based interventions and assessments to improve students’ literacy skills. The center will provide information to families and collaborate with parent centers funded by the Department. 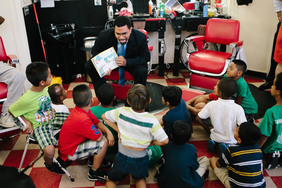 This grant aligns with the My Brother's Keeper initiative's literacy goal. These activities attempt to ensure that all children are reading at grade level by age 8 – the age at which reading to learn becomes essential. This month I went back to school with OSERS Acting Assistant Secretary Sue Swenson as part of Secretary King's Opportunity Across America Tour. We teamed up with our Center for Applied Special Technology (CAST) to visit two schools in Boston, Massachusetts which implement programs for using instructional technology and Universal Design for Learning. We also met with CAST staff, State and local administrators and representatives for Massachusetts and New Hampshire, and advocates in the field for a Listening and Learning Session. While in the Boston area we visited the Think College campus to learn more about the opportunities they provide for students with intellectual disabilities. Our early learning stop on the tour brought us to the Easter Seals Child Development Center in Maryland, which provides services to young children, promotes and advocates for inclusive learning environments, and even develops inter-generational programming for individuals with disabilities. September also brought us the first ever joint conference hosted by the Council of Administrators of Special Education (CASE) and National Association of State Directors of Special Education (NASDSE). The Department led multiple sessions, including remarks and a Question & Answer Session from Secretary John King. The Conference hosted more than 600 attendees from all over the country. In October, OSEP looks forward to participating in the 2016 Division for Early Childhood Conference in Louisville, KY.
OSEP is preparing to release its 2016-2017 Differentiated Monitoring and Support (DMS) notices to all Part B and Part C programs. The DMS notice informs the State about the level and type of engagement OSEP will provide over the coming year in the areas of (1) Results, (2) Compliance, (3) Fiscal, (4) SSIP, and (5) a special focus area for Part B and for Part C. OSEP anticipates sending the DMS notices to States by the middle of October. DMS activities will occur throughout the remainder of 2016, and through September 2017. Contact your State Lead with any questions. Join us in celebrating the 30th Anniversary of Early Learning provisions in IDEA! We welcome all of you to participate in OSEP's campaign to highlight the passage, impact, and future of Public Law 99-457, which established Part C and mandated Part B, Section 619 of the Individuals with Disabilities Education Act (IDEA). Join us on twitter, the blogosphere, and the Department's Early Learning website for videos and stories from parents, practitioners, researchers, and even individuals who received early intervention and preschool special education services as a result of this law. Don't forget to tag your tweets and posts celebrating the anniversary using the hashtag #babyIDEAis30. The week will culminate in a Google Hangout hosted by our own Ruth Ryder– access the Hangout live on our YouTube Channel on Friday, October 7th at 2:00pm EDT. "Together" features the Integrated Educational Framework– one of the Center's 5 Domains. This video highlights educators in schools across Maryland, Mississippi, and Oregon as they work to build school-based capacity to improve academic and behavioral outcomes for students with disabilities. "Whatever it Takes" features the Inclusive Academic Instruction domain and highlights schools in Maryland, Mississippi and Oregon who are implementing inclusive practices as part of the SWIFT project. This month the Department published a new Notice of Proposed Rulemaking (NPRM), for which comments are due by November 7, 2016. 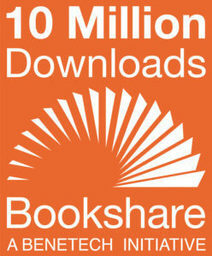 10 Million Book Downloads Today Provides a 10x Model for Tomorrow: Learn about the OSEP-funded Bookshare program, which makes accessible E-books available to students and educators for free. A New School Year and New Opportunities: OSEP staffer Carmen Sánchez and SPAN Co-Director Debra Jennings discuss why the new school year is the perfect opportunity to build relationships which strengthen the foundations of support that are so important for our students with disabilities.